Sea To Summit's AlphaLight Cutlery uses a durable hard-anodized aircraft grade aluminum and a trim, strong shape to craft a lightweight and tough utensil. The smooth matte finish cleans up well and a mini carabiner is included so you can be sure your cutlery goes where you do. 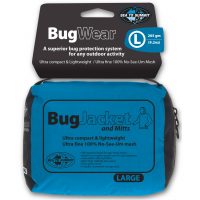 The Sea To Summit Bug Jacket & Mitts Insect Shield is a superior bug protection system for any outdoor activity. Very compact and lightweight because they use ultra-fine 100% No-See-Um mesh. 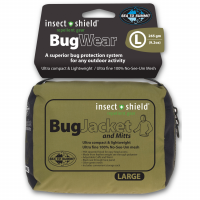 Insect Shield-treated for additional protection. 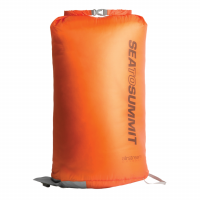 Protect your top half from stingers, biters, and blood suckers with Sea To Summit's Bug Jacket and Mitts. The ultra fine No-See-Um netting provides excellent vision while being light weight and extremely packable.